Small businesses usually start with a dream—and sometimes more than one. Whether you want to be your own boss, have a passion that caters to the public, or relish the satisfaction of owning your establishment, you want to insure it to make sure the time, effort, and money you poured into it are well looked after. Our Santa Monica insurance center works hard to advocate for businesses like yours to make sure you have the coverage you need! Here are some questions we frequently get from business owners such as yourself. Is insurance required for small businesses? No, but it’s highly advisable. Natural disasters, covered losses, or lawsuits can have an especially devastating effect on smaller businesses, and if you want to keep it operational in the face of such expensive situations, insurance is critical. Can small business insurance include businesses run out of my home? Yes! 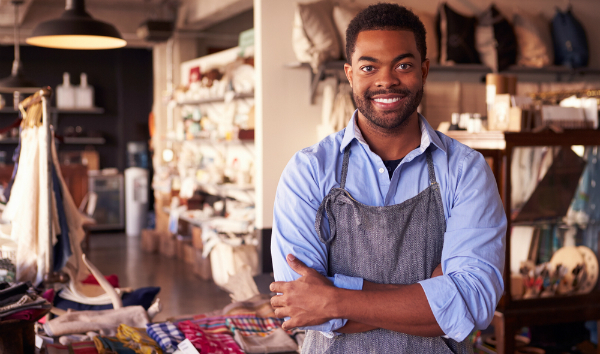 Our Hawthorne business insurance experts can help you figure out your needs based on the value of the assets you have for your business, and what type of plan you’ll need. What types of insurance do I need? As a small business owner, you need a range of plans that provide comprehensive coverage for yourself and your employees. Workers compensation and disability insurance are the two major ones, but if you employ more than 50 people, you also need to find medical insurance plans for your employees. When figuring out your budget, also keep in mind that once you establish and register your business with California’s labor and workforce agency, you’ll begin paying taxes that go towards unemployment insurance. Finding the right insurance plans for your business requires extensive legwork, and you’re already busy enough with the needs of your establishment! That’s why having an insurance agency comes in handy: you can tell us your needs and budget and we’ll find what suits you best. Request a quote from Sully Insurance today and we’ll be happy to get in touch with you.